SUNLIT UPLANDS: Charleston Becomes the Ninth GOP County Organization to Censure Lindsey Graham; Who Will Give Us an Even Ten? Charleston Becomes the Ninth GOP County Organization to Censure Lindsey Graham; Who Will Give Us an Even Ten? Charleston County Committeeman have joined 8 other South Carolina counties in censuring Lindsey Graham for his betrayal of the Republican Party Platform and the people of South Carolina. 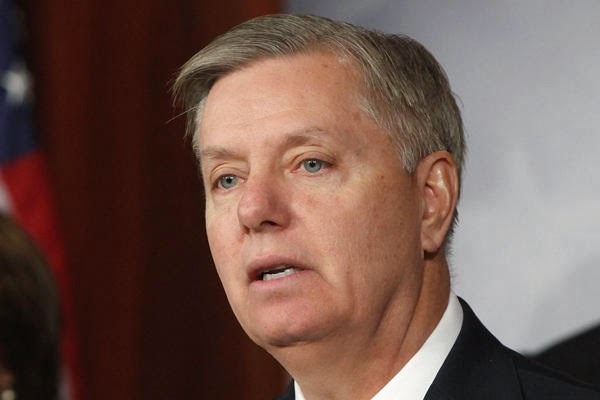 Charleston and the Lowcountry have been considered Graham's base, and this vote is evidence of how thoroughly disgusted a majority of the state's Republicans have become with Graham. The state's rogue Senator is spending lavishly against six challengers, attempting to persuade Republican voters that he is, despite all evidence to the contrary, a "conservative." The Charleston censure resolution provides 29 specific examples where Lindsey Graham's votes and policy positions have been "fundamentally inconsistent with the principles of the South Carolina Republican Party." We expect the June 10 GOP Primary to be the beginning of the end for the Seneca scoundrel. Bill Connor is extraordinarily gifted, thoughtful, well-prepared and the best choice to serve South Carolina in the United States Senate. But the most important thing for all principled conservatives to do on June 10 is to vote for a candidate other than Lindsey Graham. Let's end the embarrassment here and now and have two, solid, conservative votes in the United States Senate.